The Martineau Recreational Trails, AKA “Martineau OHM Trail System” AKA “MRT”, AKA “Akeley” AKA “The Bunyan” are found in the Paul Bunyan State Forest in Akeley Minnesota. These trails are made up of multiple loops, providing miles of incredibly fun single-track OHM trails including tight, wooded technical trails for more experienced riders, and miles of smooth trails for beginners. Plan at least a day, if not a weekend to ride and explore. 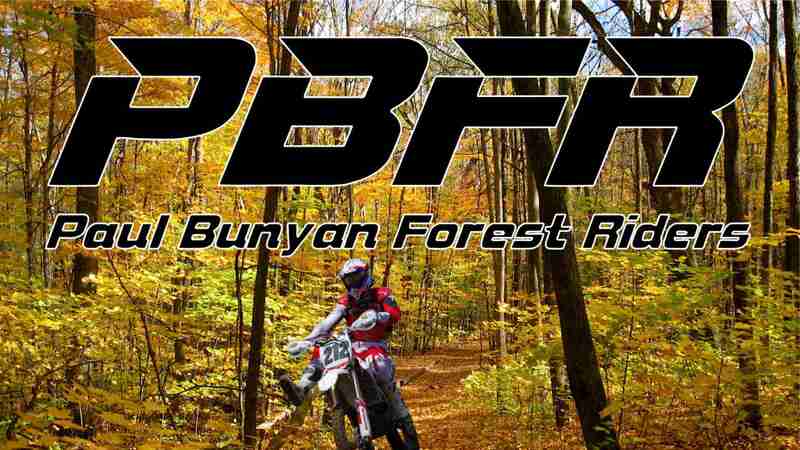 The trails are provided by Hubbard County and maintained by the Paul Bunyan Forest Riders Motorcycle Club. If you see a Paul Bunyan Forest Rider weed trimming the trail edge, or chainsawing a fallen tree, make sure you stop and thank them for the service they provide our community. The normal riding season is from May 1st to October 31st.